The external height of each drawer is 94mm, internal measurement 74mm high. 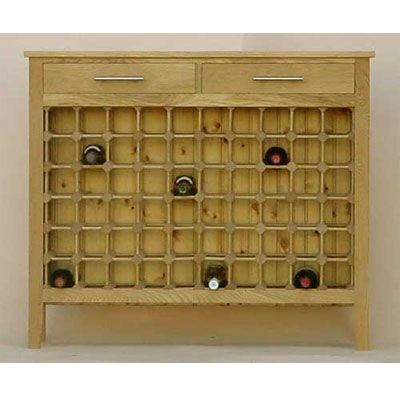 The internal depth of each drawer is 420mm wide x 220mm deep x 74mm high. 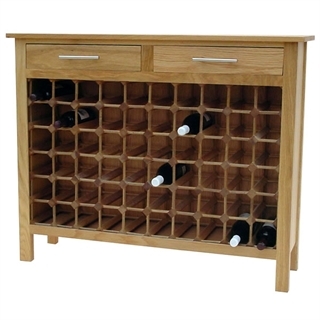 This 60 Bottle Wine Cabinet with two drawers is made of Oak and can be supplied with either an all wood wine rack or wood & galvanised steel wine rack. What it says on the tin!! Nice solid piece of furniture which does its job well and looks good.